Almost 40 years after the political assassination of Chilean economist, Socialist, and diplomat Orlando Letelier and his assistant Ronnie Moffit in a car bomb in Washington D.C., the US government has finally declassified a top secret document proving that Chilean dictator Augusto Pinochet ordered this murder. The delay in releasing this information confirms the existing theory that the Nixon Administration, including former Secretary of State Henry Kissinger, covered up Pinochet’s crime. A series of top secret U.S. documents were recently given to Chilean President Michelle Bachelet in Santiago by current U.S. Secretary of State, John Kerry. These documents show that General Pinochet attempted the murder of his own head of intelligence, General Manuel Contreras, to cover up his involvement in the Letelier and Moffat assassination. Letelier had been loyal to ousted Chilean President Salvador Allende and served as the Chilean Ambassador to the US from 1971 to 1973. He fled to the U.S. after being imprisoned and tortured during the 1973 coup and worked at the Institute of Policy Studies, alongside his wife Isabel Letelier and IPS’s Executive Director Saul Landau. 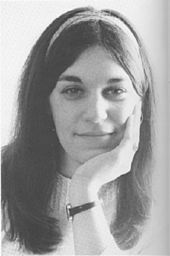 Ronni Karpen Moffitt, assistant of Orlando Letelier. In recent years, Letelier’s son, Senator Juan Pablo Letelier, was shown these top secret documents, and discovered a memo from the then-Secretary of State George Shultz, to President Ronald Reagan revealing their knowledge of the attack. “There is a conclusive document from the CIA that shows Pinochet ordered the murder of my father. This is concrete information about how Pinochet covered up his responsibility,” Letelier told The Guardian. The Committee for Justice for Domingo and Viernes (CJDV) held an educational seminar in early 1982 featuring Isabel Letelier and Saul Landau. This seminar revealed the important lessons of the Letelier assassination and the ways in which US intelligence agencies either had prior knowledge and failed to intervene, or actively participated in the cover-up of these crimes. Saul Landau’s address to that seminar is available on the CJDV lawyer Michael Withey’s website: www.withey.wpengine.com, about the Domingo and Viernes Story. The U.S. has long been acknowledged to have played a central role in Operation Condor, the right-wing wave of violence in the southern cone of Latin America that cracked down on dissenting and progressive voices. A further point of speculation is whether the CIA knew of the plan to kill Letelier, as other declassified documents indicate that that Manuel Contreras received a payment by the U.S. agency before the bombing and remained in contact with high-ranking officials there. The team who conducted the actual car bombing on Embassy Row in Washington D.C. were later found to have consisted of anti-Castro Cubans from Miami, recruited by an intelligence officer with the Dirección de Inteligencia Nacional (DINA) secret police. Manuel Contreras was the military henchman who, more than any other, enforced the brutal repression that governed Chile during the dictatorship of Pinochet. As head of the DINA secret police — often referred to as Pinochet’s Gestapo — Contreras was responsible for the torture and murder of hundreds of people, mainly leftists. Today, most of his victims remain among Chile’s thousands of disappeared, their families condemned to perpetual grief in absentia by the inhumanity of military rule. During Pinochet’s military dictatorship from 1973-1990, more than 3,000 people were killed or “disappeared,” and 38,000 tortured. The Chilean government recently created a new military unit designated to aid the investigation of abuses committed during the regime and break the decades-long pacts of silence. Chilean courts are currently investigating around 1,000 cases of kidnapping, killing and torture by regime agents, but the process is slow and painstaking. Two of those murdered by the regime during the days after the coup include American journalists Charles Horman and Frank Teruggi. Recently a Chilean Court found two Chilean military intelligence officials guilty of their murders and sentenced them to prison. The same judge implicated a US Navy Captain in the murders, stating that he had provided derogatory information to the Chilean military about the pair. See US Intelligence Officials Implicated in 1973 Murders of Charles Horman and Frank Teruggi at www.withey.wpengine.com and stay informed on US government and intelligence agencies’ roles in the murder and cover up of activists across the globe.